When Elaine Hausfeld’s daughter, Kimberly Wiford, was diagnosed with breast cancer, Hausfeld knew exactly what to do. Setting up her daughter’s first appointment at The Ohio State University Comprehensive Cancer Center – James Cancer Hospital and Solove Research Institute’s (OSUCCC – James) Stefanie Spielman Comprehensive Breast Center was the first item on the long list of things Hausfeld did for Wiford. She took care of the kids, made meals, drove her daughter to appointments and supplied plenty of hugs and encouraging words. Deservingly, Hausfeld was one of the four caregivers who received a Champion Award at the 2017 Step Up for Stefanie’s Champions Walk/Run last weekend. This annual event is a celebration of the life and ongoing legacy of Stefanie Spielman, who lost her long battle with breast cancer in 2009. Along the way, she inspired thousands of women in Columbus and beyond to fight hard, live and love life to the fullest — and fundraise furiously to advance cancer research. Stefanie Spielman established the Champion Award to recognize one of the most critical factors in surviving cancer: loving, unwavering support. In Stefanie’s case, such support during her battle with breast cancer came from her husband, Chris. To show her gratitude, Stefanie gave Chris the very first Champion Award in 2000. The pre-run/walk ceremony opened with the “Continue to Fight” video featuring Stefanie Spielman. “I’ve seen it hundreds of times and it still inspires me so much,” Maddie Spielman said of her mother’s words. “Her legacy is being carried on by you,” added her father Chris Spielman as he spoke to the large crowd gathered outside the Spielman Center. There were more than 2,100 runners and walkers, including more than 200 cancer survivors. That’s what moms do. And husbands. Lorraine Pennyman was diagnosed with thymic cancer in 2011. The thymic is a small organ in the upper chest. The Pennymans have three children: Jayden, 9, and the twins, Alana and Kyrn, 7, and a lot to fight for. “We learned to focus on family first and that we have each other’s backs,” Lorraine Pennyman said at the Step Up event. “Every moment is precious and fill them with love and excitement,” Chontae Pennyman added. “And show your kids how to fight,” Lorraine said. Susan Zanner passed away on January 8 from breast cancer. During the Bexley resident’s long cancer journey, she became an eloquent and brave spokeswoman. Her goal was to educate and fundraise, and Zanner was successful at both. About 25 family and friends came together on the Susan Strong team for the Step Up event. 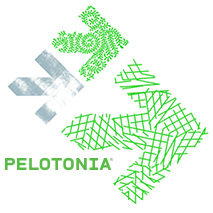 Pelotonia is the grassroots bicycle tour that supports cancer research at the OSUCCC – James. The support of his family and friends also helps. Jill Meyer was a Stefanie’s Champion in 2014, in recognition of her caregiving support for Susan Zanner. Susan Zanner was treated at the Breast Center and was part of clinical trials that extended the length and quality of her life. “We should all take a knee and thank God for what Chris and Stefanie have done and for the Spielman Center, it’s a place of hope and compassion,” Erick Zanner said shortly before he began the walk. As he looked around at the hundreds of people gathered to celebrate, advocate and fundraise, he became philosophical. Step Up for Stefanie’s Champions 2017 also honored Kathy Frazer, nominated by her daughter Meghan, and Elaine Huber, nominated by her friend Donna Albers.